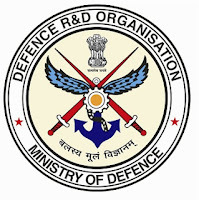 Ministry of Defence Recruitment 2018 Job alert both Fresher and Experienced can get Ministry of Defence recruitment 2018 updated on December 30, 2017, notification on recent Ministry of Defence recruitment 2018 openings across India. This is an exclusive page updated on 30.12.2017 for the latest recruitment notification mod.nic.in from Ministry of Defence 2018 it contains both active and recently expired Job openings and recruitment notification from Ministry of Defence 2018. The Ministry of Defence is inviting applications from eligible aspirants for filling up Lower Division Clerks, Material Assistants, Trades Men, MTS and Fireman posts for the year 2018. The last date for applications is 11th January 2018. Check below for more details. Lower Division Clerk - 12th Class Pass or equivalent with typing speed of 35 words per minute on a computer or Hindi typing of 30 words per minute. Fireman - Matriculation or equivalent. Diploma in Engineering in any discipline. How to Apply: There is NO ONLINE APPLICATION MODE. Your applications in prescribed format along with necessary documents should reach the below address within 21 days of the publication of this advertisement (11th January 2018).